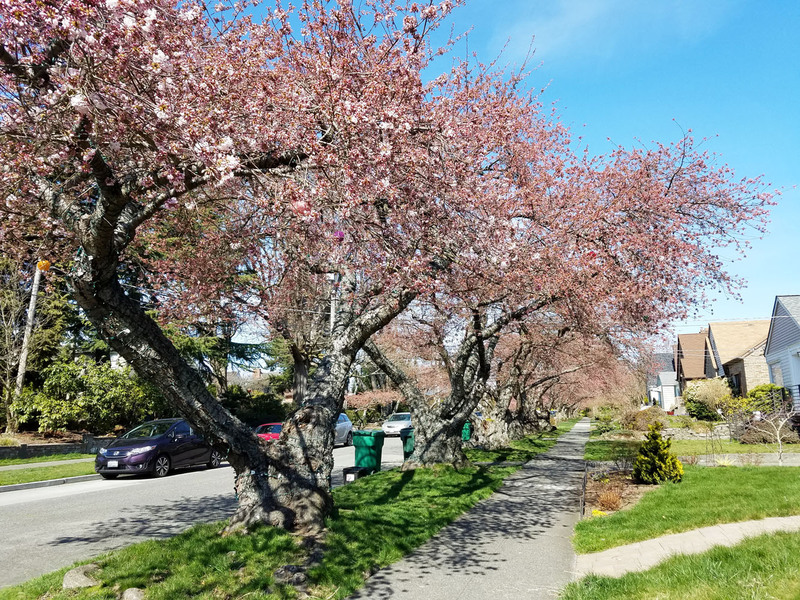 I guess we had been overly optimistic (as had been the news media, who had reported sakura season as being “near peak”). And in promoting yesterday’s ad hoc sketch outing to my favorite street in the Sunset Hill neighborhood (the one I call Fairyland) at this time of year, I used photos that I had taken last year, which may have been just a touch misleading. 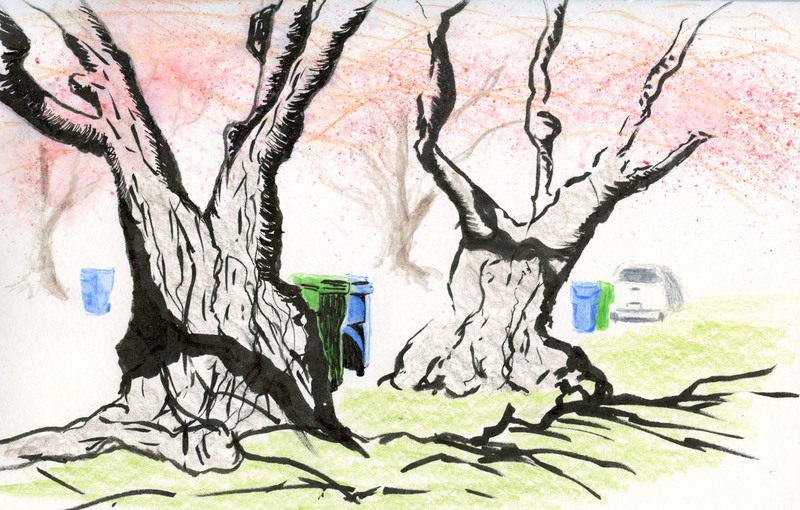 In any case, when we arrived, all the buds on the cherry trees were still tightly closed (just like the cherry I’d sketched the day before). 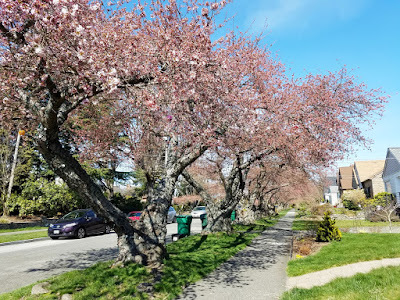 But it was such a gorgeous day that no one seemed to mind that the promised pink blossoming trees were still a few weeks away. I know I didn’t mind as I sketched these grand old trunks in the sunshine. In fact, I can’t think of too many things I’d rather do on the first day of spring. I love the gnarly trunks, the striking shadows and the soft suggestions of blossoms! Great tree sketch!